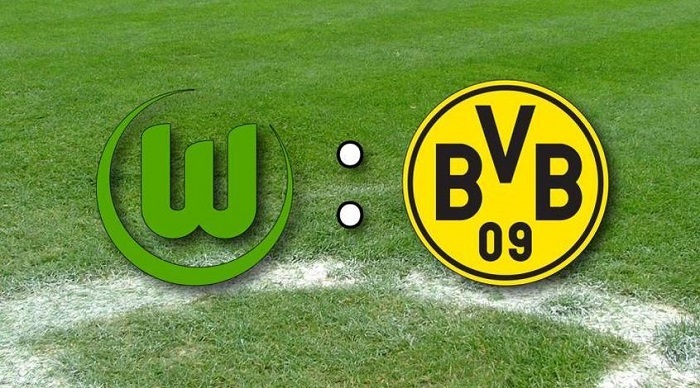 Our experts have already drawn up their prediction for the match Wolfsburg vs Borussia Dortmund that will be one of the central confrontations of the Bundesliga 10th round. In recent years, Wolfsburg have ceased to please their fans with a great game. That’s also displayed in the standings results. Last season the Wolves finished on 16th spot in the Bundesliga, being on the verge of relegation to the 2nd division. Currently, the team is on the 10th place with 12 points after 9 matches played. The strengths of Wolfsburg include good attacking skills. However, the defense of Labbadia’s men is not so powerful: 14 goals conceded in 9 matches are far from the best indicator. It is clear that Wolfsburg couldn’t become a favorite in the upcoming match having such results, but there is no doubt the hosts will make every effort to win. By the way, the Wolves are attuned positively for this battle, as the day before they crushed Fortuna Düsseldorf with the score 0:3. This triumph will certainly make players feel more powerful and confident. Last season was not the best one for Borussia Dortmund. Peter Steger’s team managed to reach only the 4th spot in the German championship standings. Obviously, this fact upset their management and fans. Due to unsatisfactory results, Stager was dismissed from his post in the summer, and an experienced Lucien Favre was appointed to replace him. Under his leadership, the Bumblebees significantly transformed and began to demonstrate better results. For the time being, it is Borussia Dortmund who head the Bundesliga standings with 21 points after 9 matches. However, the team is only two points ahead of Bavaria, so each misfire in the championship may be costly. Perfect attacking skills are their ultimate weapon for now. Borussia have already managed to score 29 goals in 9 matches, which is the best indicator among all German championship clubs. Logically, the team approaches the next match in the status of an unconditional favorite, but not in the best mood due to recent points loss in the battle with Herta (2:2). Borussia Dortmund are now in excellent shape with perfect line-up in the attack. Therefore, they score a lot. Wolfsburg experience obvious defensive issues, but they continue to practice attacking football that is reflected in a great number of goals scored. Only 1 of their last 15 meetings ended with less than 3 goals scored. Most likely, Borussia will take the lead and act as the first number from the start of the match, and Wolfsburg will play on counterattacks. The final score is not easy to predict, but at least 3 goals should be scored.